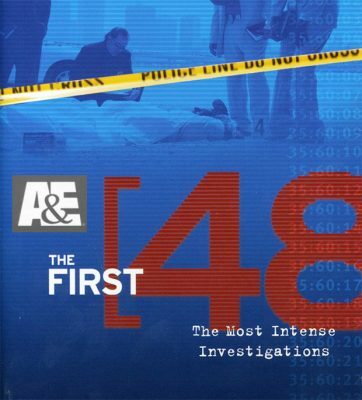 Two cop veterans of “The First 48,” Michael Russell and Dale Collins, were involved in Runyon Street investigation. Russell conducted most of it. Gary Webb also paid the ultimate price, dying in an alleged suicide involving shooting himself TWICE in the head. VOD advisory: information about alleged drug dealers in this story should be taken in context with the fact that the CIA, the DEA, and U.S. banks have been thoroughly exposed as responsible for bringing drugs across the borders for decades to decimate Black and poor cities. DETROIT – Wayne County Circuit Court Judge Brian Sullivan finally signed a formal order dismissing quadruple homicide charges against Davontae Sanford July 19. 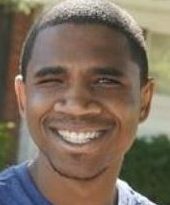 The young man’s record is now cleared so he can “move on with his life,” his fondest wish on coming home June 8, after nine years in prison for crimes he did not commit. 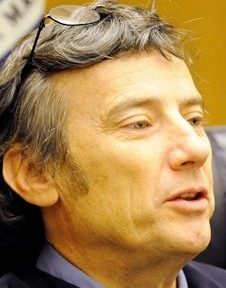 A Detroit Free Press headline trumpeted that Sullivan’s order urges a “probe for truth” in the 2007 “Runyon Street killings,” implying that Davontae may not have been justifiably exonerated. 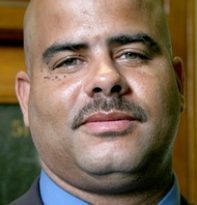 The order comes on the heels of Wayne County Prosecutor Kym Worthy’s refusal to charge former Detroit Police Commander James Tolbert with perjury in a capital case, and a press conference she focused primarily on evidence AGAINST Davontae. In a 114-page report, the Michigan State Police had recommended warrants against Tolbert for lying about a sketch drawn of the murder scene, Vincent Smothers, who repeatedly confessed to the killings, and his named accomplice Ernest Davis. Worthy has issued none of these warrants. Like Worthy’s press conference, Sullivan’s order is mean-spirited. 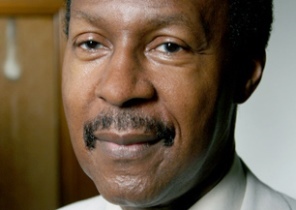 It ignores and even contradicts facts revealed in the MSP report, as well as evidence compiled by two innocence clinics from Northwestern University and the University of Michigan, which leave no room for doubt about Sanford’s innocence. Kym Worthy with staff who prosecuted Sanford, including Timothy Chambers, Jason Williams, . Should prosecutors be charged? Many, even the editorial board of the Detroit News, have agreed that an investigation does indeed need to happen—into the roles of Worthy, the Detroit police, and other players in this gross miscarriage of justice. The News asked for investigations by Michigan State Attorney General Bill Schuette and by the U.S. Department of Justice. Michael Robinson house on Runyon street where four people were murdered Sept. 7, 2007. 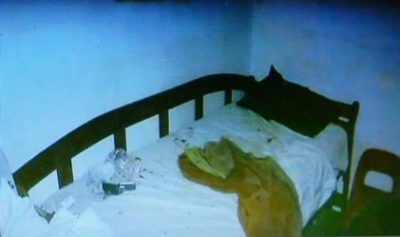 SULLIVAN ALLEGATION 1: “Glover, the surviving eyewitness, testified one of the perpetrators entered and remained in the bedroom during the search of the house. He was dressed in black pants, was a “younger person” whose voice was ‘not deep.’”FACT: Glover gave a written statement to Detroit police Sept. 18, 2007, according to the MSP report. “Glover described the subject as a black male, no more than thirty to thirty-thirty five years old with a soft voice. Glover further described the subject as approximately 6’ to 6’1” tall with a slim build,” says the report.FACT: According to the MSP, neighbor Jesse King gave a written statement to the DPS Sept. 18, 2007 in which he “described the first subject as being 5’11”-6,’ brown-skinned, slim medium build, dark clothes . . . He advised the initial subject was carrying a long gun. King described the second subject as slightly shorter than the first with the same build and complexion. 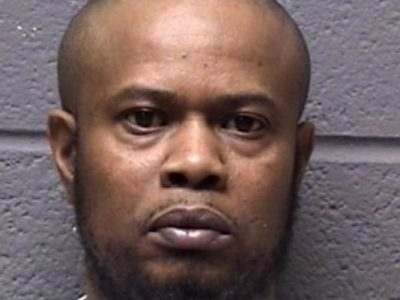 He advised that the subject was carrying a handgun.”The MSP investigator noted, “Both subjects are substantially shorter in comparison to the description of the suspects provided by Jesse King and Valerie Glover. The MSP later interviewed King themselves. He told them categorically that the killer was NOT Sanford, because he knew him from the neighborhood. Murdered at 19741 Runyon Street Sept. 17, 2007: (l to r), Michael Robinson, Brian Dixon, Nicole Chapman, Angelo McNoriell. 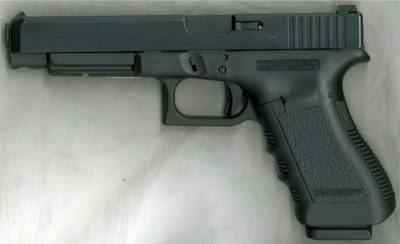 A 40 caliber Glock. Smothers said he carried this type of gun and another gun into Glover bedroom. Leroy Payne allegedly hired Smothers. 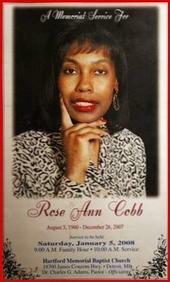 Rose Cobb; Smothers gave up contract hits after he killed her, remorseful over that act. William Rice after sentencing to 2 to 20 years in prison, after he testified on behalf of Davontae Sanford. Map of dog track in which Sgt. Russell and others were involved. FACT: The MSP report devotes many paragraphs to testimony given by Collins, from a transcript taken by DPD on July 13, 2010 with regard to the Sanford case, and an Oct. 30, 2012 interview with regard to People v. William Rice 3rd Circuit Court Case 13003607-01-FH.It summarizes, “Investigator Collins advised that he was working on September 17, 2007 and responded to the scene on Runyon Street. He followed the K-9 track along with Sergeant Russell and while conducting a canvass of the area on Beland, he observed Sergeant Russell speaking with Davontae Sanford. Collins stated that he then made contact with Sanford who informed him that he had been dropped off earlier that day by his Uncle Bill. Collins advised that he asked “Bill who?” and Sanford responded that it was Bill Rice. Collins informed Sanford that he knew Bill Rice and that he (Sanford) needed to help the police. 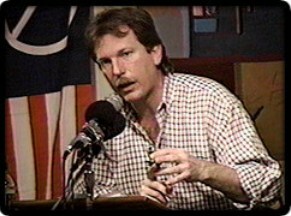 Dale Collins, photo from “First 48” website. Russell was also a star on that show. “Collins stated that Sanford told him that William Rice had picked him up from school and dropped him off. Collins assumed at his (Sanford’s) house. Upon questioning, Collins indicated that at the time of the incident he had worked with and known William Rice for over twenty years. 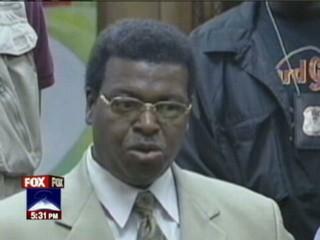 William Rice had previously been the Inspector for the Detroit Police Department Homicide Section. Collins indicated that after discovering that Sanford was referring to William Rice he called Rice via his cellular telephone. 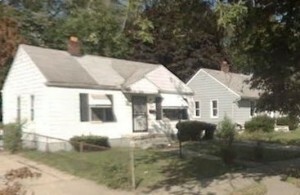 Collins stated that he spoke with Rice and informed him that he was with a subject that claimed that he was his nephew and that he (William Rice) had dropped him off.”Rice informed Collins that Sanford was not his nephew “but he’s a young guy that know (sic) a lot of things that happens (sic) in that neighborhood”. Upon questioning, Collins indicated that the number of the cellular telephone that he called William Rice on that evening was ‘(blanked out).”Investigator Collins was also interviewed reference People v William Rice on October 30, 2012. Upon questioning he clarified his telephone call to William Rice. He stated “I called Bill Rice, and I asked him–or I told him that we were working on a triple homicide and that we were talking to a young fellow. And this guy said that he had been dropped off by Bill. And I asked Bill, I said well–Bill asked me well, what’s his name? And I told Bill his name is Davontae. He said, well, yes, that’s Cheryl’s nephew; that he had dropped him off over there. He also said that he was a young–he’s about 14 or 15 years old, and he’s a street guy. Anything out in the street he knew about. So if he tells you something, you can believe it.” Collins was questioned if Rice said anything else concerning Sanford. Collins stated “No. Basically whatever he told me, I could like believe what he said because he knew the streets. 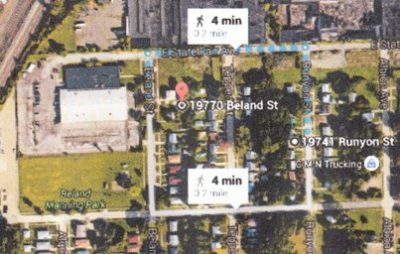 He also said that it was Cheryl’s nephew, not his nephew.”Bill mentioned to me that he was trying to get him in school because he was in the street, and he had supposedly dropped him off from the west side, took him to the east side where he lived at. He lived on (blank). “Only thing happened next was I told Bill we’re going to be talking to him. Well, he knew that. So the conversation basically ended.”WHO ENGINEERED SANFORD’S FRAME-UP, AND SMOTHERS COVER-UP? Detroit police Sgt. Michael Russell; photo is taken from “First 48” reality show website, the same site which boasted Aiyana Jones’ killer Joseph Weekley as a star, as well as Dale Collins. The show’s main purpose was to show that homicides needed to be wrapped up in 48 hours. 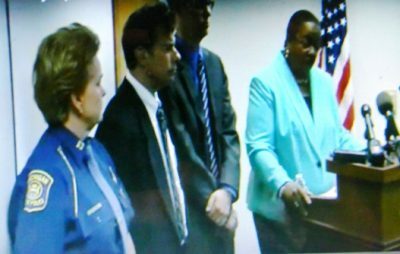 The MSP reported that they interviewed Detroit Police Detective Barbara Simon, who was assigned to be the Officer in Charge in the case. But she informed them that Sgt. Russell handled most of the case, and that he and other cops kept her out of the loop. “Simon stated she was assigned the Runyon St case the day after the actual incident and was subsequently listed as the officer in charge (OIC),” says the MSP report. “She explained she did not respond to the initial crime scene. Simon acknowledged that even though she was the OIC, Sgt Mike Russell handled a majority of the information in this case. Simon said she remembers conducting a search warrant at Sanford’s residence where they recovered a pair of gym shoes. She also remembers a drawing, however she was not present when the drawing was made. Simon further explained she was the one who completed the investigators report for this case. We asked if she ever became aware of Vincent Smothers to which she stated she only heard of him after the Rose Cobb homicide. It was then asked if she recalled anyone ever bringing information to her regarding Vincent Smothers admitting or confessing to the Runyon St homicides. Who was in charge of Runyon Street investigation–the DPD or the First 48? This entry was posted in Uncategorized and tagged Beatbackthebullies, blacklivesmatter, ChargeKymWorthy, EndPoliceStatePrisonNation, FreeCharlesJones, FreeCharlesLewis, saveourchildren, StandUpNow, StopJuvenileLifeWithoutParole. Bookmark the permalink. Sure great finally meeting you. I have another case for you.